About getting back into nature? The enthusiasm of Flint's Secret Spot is absolutely infectious. An instant mood booster. Made me feel like a kid again! Wonderfully illustrated with rich greens, bright sunshine and shaded tranquility of the woods. 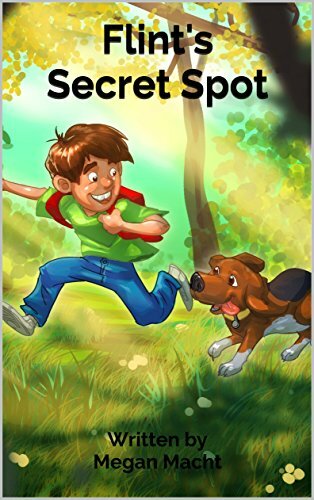 The prose is perfectly written to capture the rhythm of Flint's quest ... with his faithful friend Blue, too, of course. A very positive book with a great message for children and adults. An eloquent reminder of the gift of nature and embracing each day. The book worked great on my device, too.